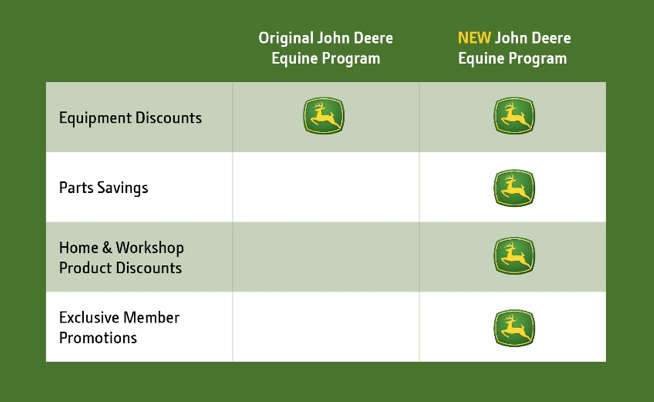 Thoroughbred Owners of California and John Deere are excited to announce a new and enhanced partnership that will give TOC members special access to John Deere’s GreenFleet Loyalty Program. Along with the valuable equipment discounts members have already been privy to, members are now eligible for special parts savings, Home & Workshop Products discounts, and other members-only promotions. To register, TOC members should visit JohnDeere.com/Equine, or call 866-678-4289. Once the registration is complete, members can receive their Equine Vouchers, and instantly access program benefits. Members can easily purchase online at JohnDeere.com/BuyOnline or by visiting a local John Deere dealer.